Jackfruit Chipotle Chili - Instant Pot-1 hour. Vegan, gf, dairy free. Jackfruit Chipotle Chili. 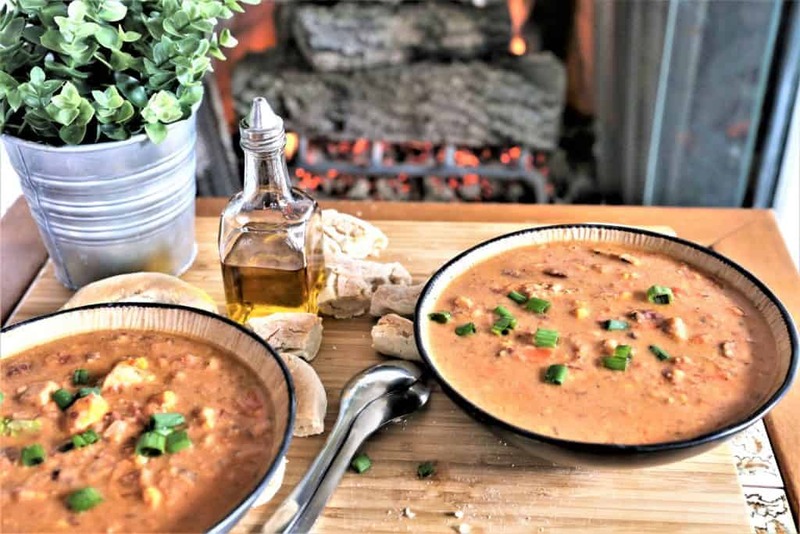 A hot bowl of chili is a comfort food in the winter, and something spicy and hot in your belly is just what you need right now with temperatures dropping. 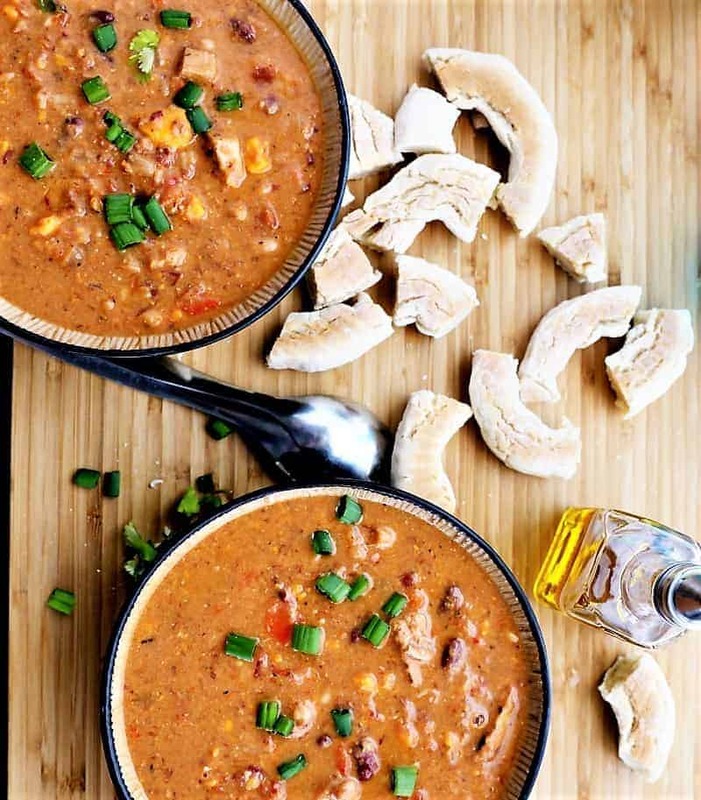 Jackfruit Chipotle Chili is a new flavor twist on an old favorite that you can cook on the stove, crock pot or in the Instant Pot. Even though it is a cooked dish that is perfect for winter food, chili is still an all year ’round craving. Who can pass up a chili cook off in summer? 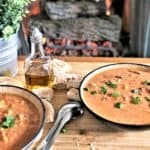 For today though, set your table in front of a roaring fire, and you have everything you need for an warm and toasty evening, with this tasty delish chili paired with some crusty fresh bread. Vegan, gluten free, dairy free. Grilled Jackfruit Chipotle Chili. 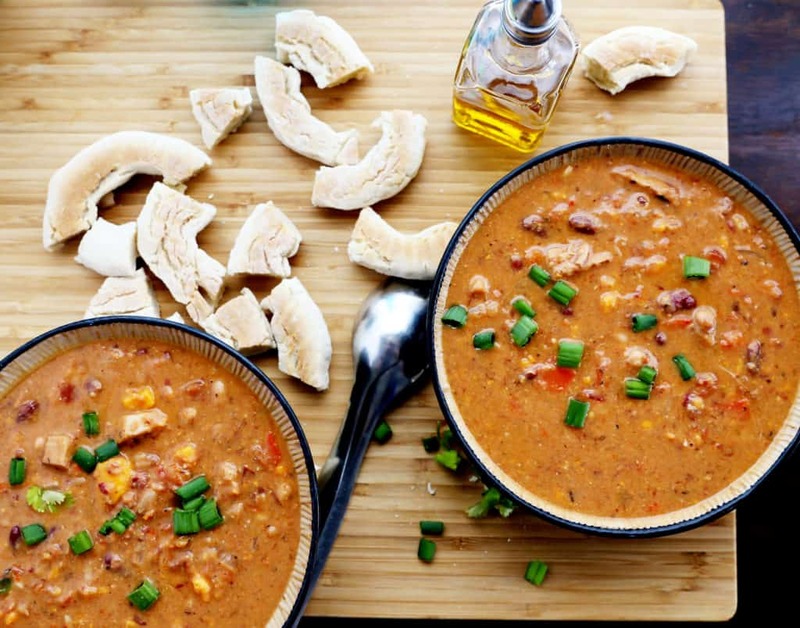 Try this yummy vegan, gluten free, dairy free twist on traditional chili. Add onion, sweet potato, garlic, red pepper, olive oil and spices to Instant Pot and saute for 3 minutes. Add remaining chili ingredients to Instant Pot. Set Instant Pot to pressure cook for 8 minutes. After chili is cooked, allow pressure to release naturally. NR. 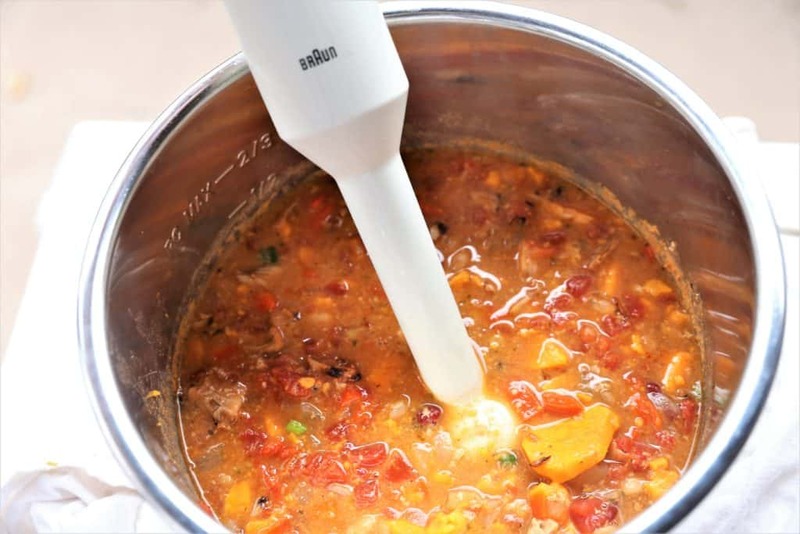 With small hand blender, blend a small portion of the cooked chili mix to thicken the chili. Leave most of the chili intact. Top with cilantro or green onions and serve. Add all chili ingredients to crock pot and cook on high for 5 hours. 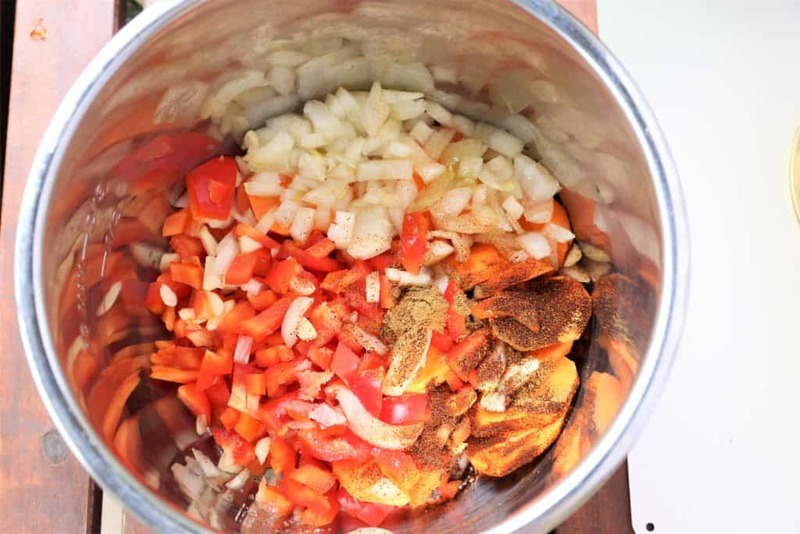 Add onion, sweet potato, garlic, red pepper, olive oil and spices to soup pot and saute for 3 minutes. Add all remaining ingredients to soup pot. Bring to a boil, and reduce heat. Simmer for 2 hours, or until sweet potatoes are done. 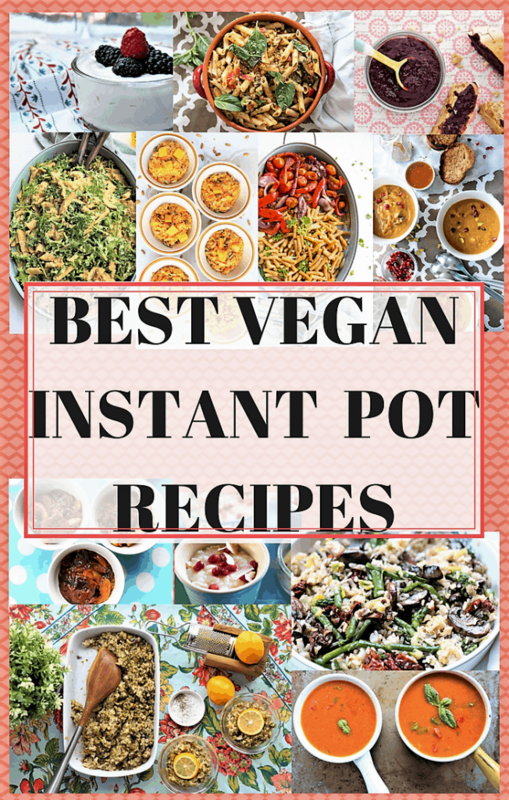 The time estimate for preparation and cooking is for the Instant Pot. If you use a crock pot or stove top method, your time will be adjusted accordingly.